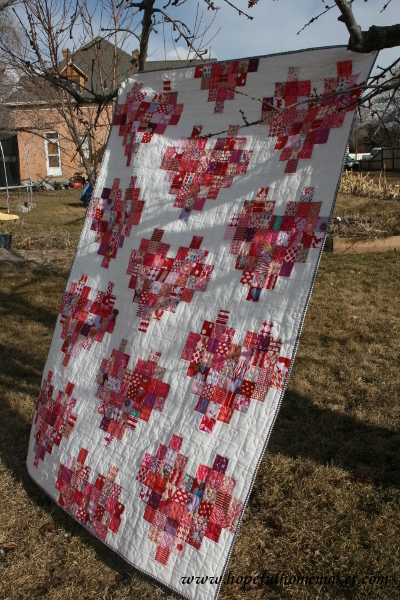 I participated in the Secret Sister Swap at Quilt Bliss, and was happy to have Lori assigned to me. When I read her list of preferences, the first thing I noticed was that she loves blue fabric. A girl after my own heart! 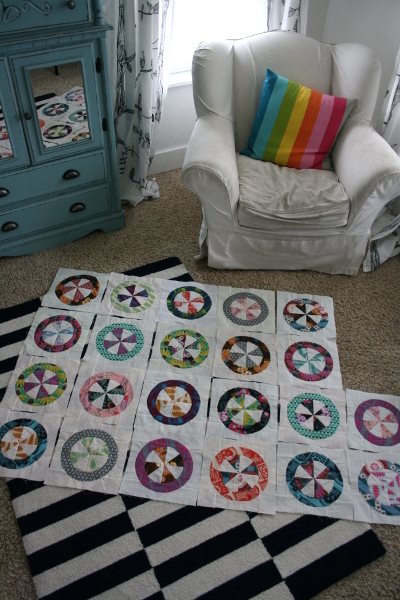 After some back and forth and stressing about what to make, I settled on the Spools Mini quilt from the Liberty Love book. 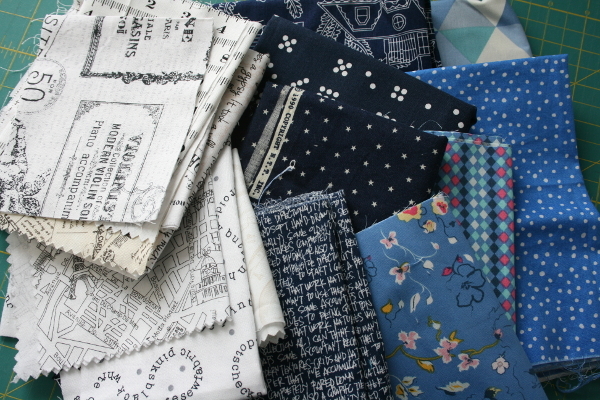 I pulled some favorite blue fabrics and settled on a scrappy low volume background. 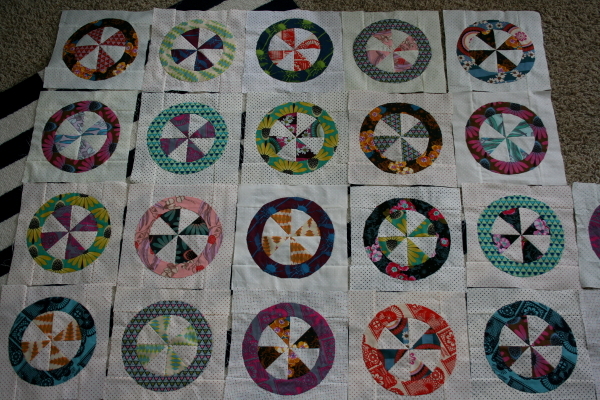 I would quilt it differently if I made it again. 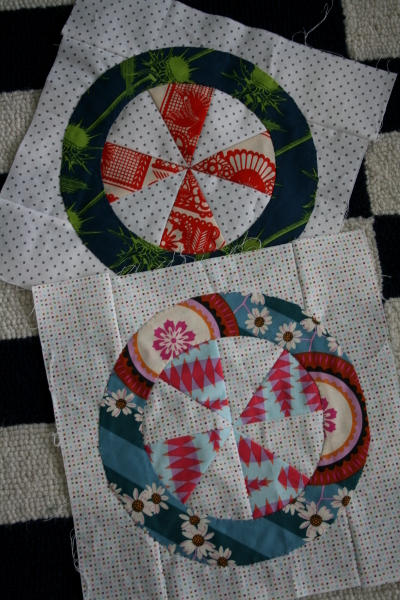 I chose straight line quilting in a diagonal grid, but wish I’d done some free motion quilting on each spool. I was nervous, however, because I’m out of practice and even when I’ve been practicing my fmq leaves much to be desired. So I went with something I knew I could do, but I’m not sure it was the best choice for this mini. Still, I do like it and I was out of time so it had to work! 1. When I sew for myself, it’s generally relaxing. When I make a gift, I generally enjoy it. When it’s a swap, I’m a total stress case. 2. I really, really love low-volume fabrics, backgrounds, everything. The trend hasn’t bothered me a bit and I’m not at all tired of it. 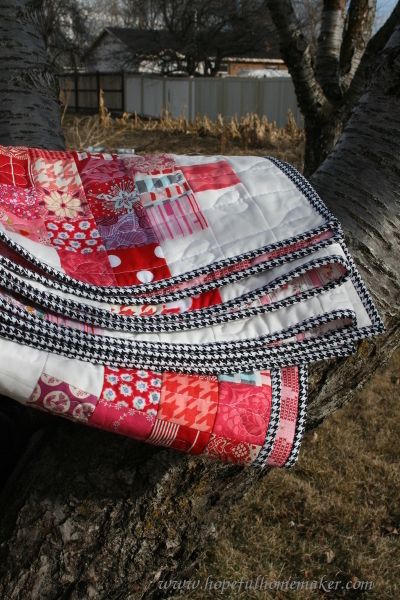 I love the visual interest it gives a quilt. Low-volume makes me happy. 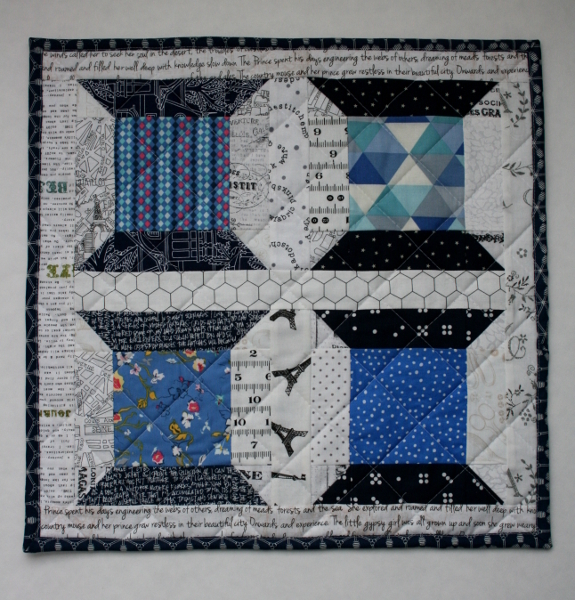 And there you have the story of this mini quilt. I hope Lori enjoys it! 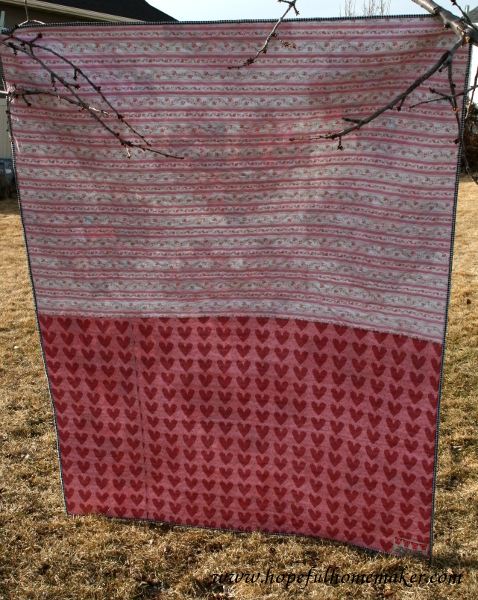 My Pixelated Heart quilt, which is also my first finished quilt of 2014 (finished back in February) is something I intended to share here but never did. 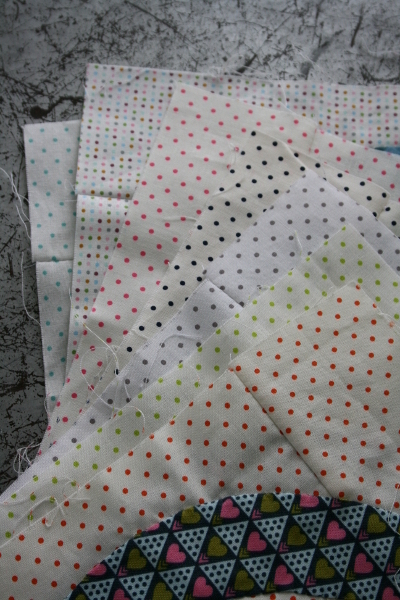 I want to share it anyway, largely because the idea for quilting it was such a fun experience for me. 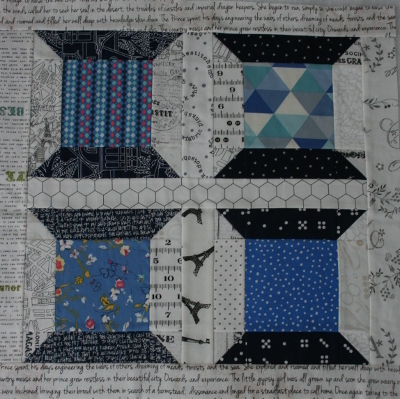 Because there is no sashing between the blocks, the horizontal feel of background fabric throughout the quilt seemed a little stronger than I wanted, so my goal was to find a way to balance the lines in the quilt. 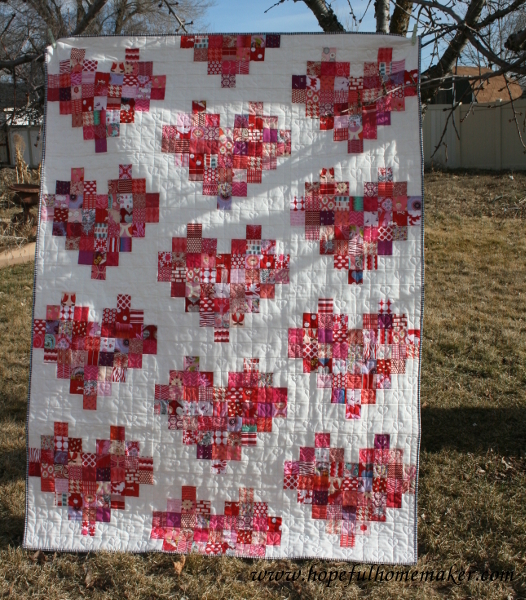 I also wanted to keep the quilting very simple while trying something new, and my daughters hoped it would include hearts. An idea struck and it worked, and I had so much fun doing it! 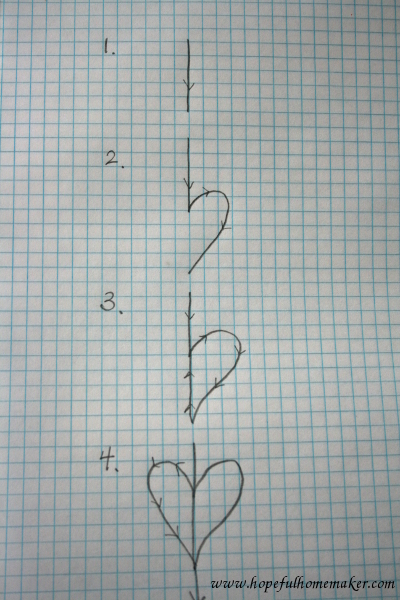 Essentially, there are 4 steps to the pattern. 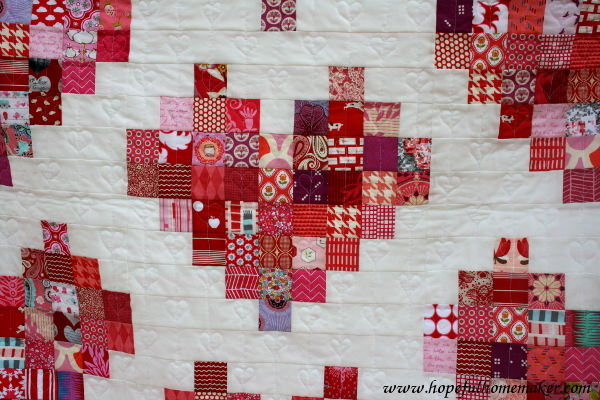 A straight line down the center of the strip you’re quilting, then one half of the heart, then straight back up the center of the heart, and then stitching the other half of the heart, ending at the bottom point ready to continue down to the next one. 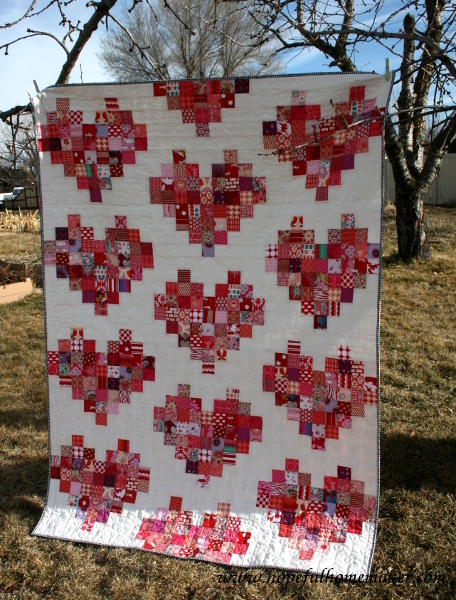 As I was quilting I kept thinking of hearts dangling on ribbons from the ceiling. 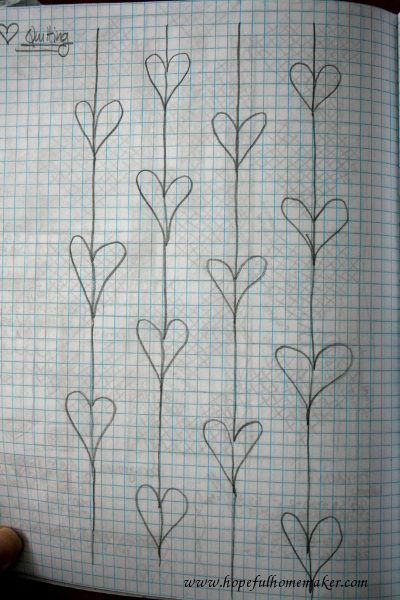 I didn’t like the idea of hearts everywhere, so I quilted each line in an offset way so that there would be open space as well. 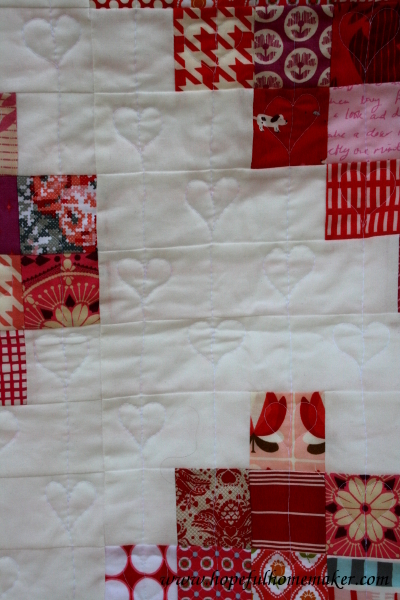 I like the way each pieced heart is now framed by lots of little ones in the background. Quilting this quilt was a fun experience in trying something new to see if it would work. 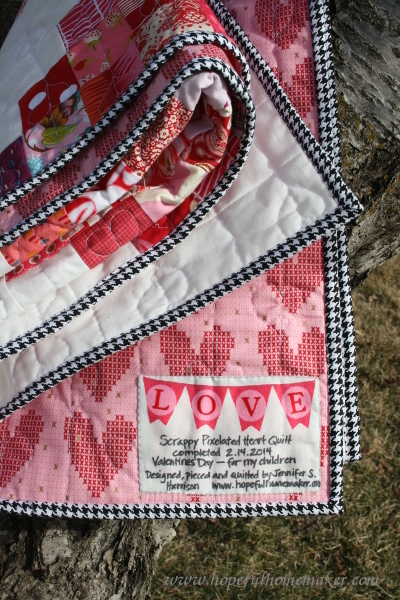 I think you could run with this idea of quilting in mostly straight lines but throwing in a small design along that line and use it with all sorts of shapes or motifs. This is filed away in my imagination as an idea I may want to come back to in the future with some other design. And like I already mentioned, it’s a comfortable way to step out of your comfort zone if straight line quilting is your thing. I should mention that I used my darning foot, and not my walking foot, for this design. The backing is made up of a vintage piece of fabric I’ve had for too long (on the top) and some sweet hearts on the bottom. Continuing with my love of black and white bindings, I used a small houndstooth print to bind this quilt. I love the way it frames everything. And finally, I found this little label at my LQS and decided it was perfect for the quilt, so it now has a label on the back. This is something I want to do more of. The quilt has now seen many hours of use and I love seeing my children snuggled in things I’ve made for them. 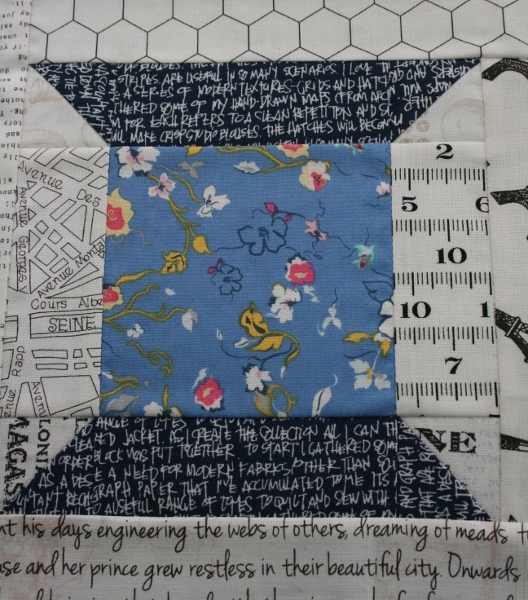 When I wrote down my quilting goals for 2014, four main categories emerged for the projects I felt drawn to. One of them I have labeled “chase an idea.” I want to leave room in my sewing to follow an idea when it comes and see what happens. 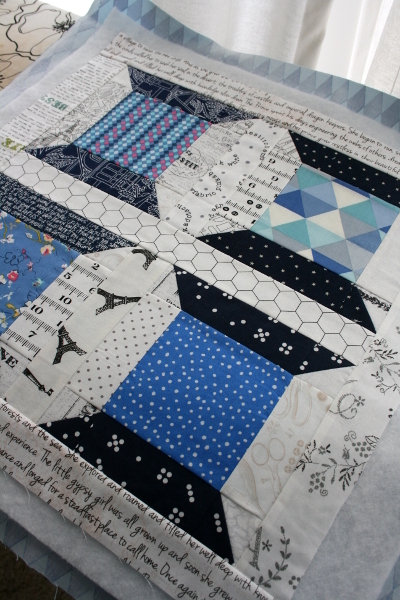 The layout of the quilt (tutorial found here), followed by the quilting, certainly fall into that category. I find it is very satisfying when, after sketching and brainstorming, the idea comes and I act on it with decent results. Hooray! I hope you’re chasing an idea today!